Long-stemmed with bright red stalks. Early maturing, and establishes quickly. Great for tarts, pies, jam & juice. 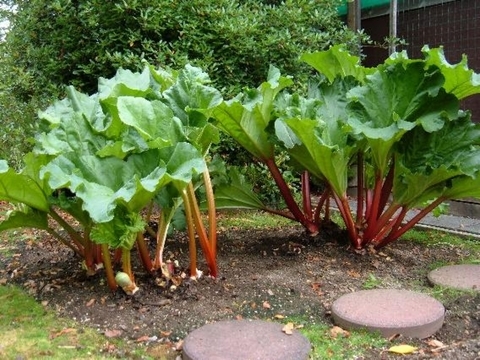 Nutritional Value: A very good source of Dietary Fibre, Vitamin C, Vitamin K & Calcium.Only stalks (petioles), which can be pink or red or even green, can be eaten. Rhubarb leaves are poisonous to humans and livestock and should never be eaten. The leaves contain oxalic acid which is poisonous to man, and although you would need to eat a lot of the leaves to end up at a sticky end, they will give you a very bad upset stomach if you do end up eating them by mistake. 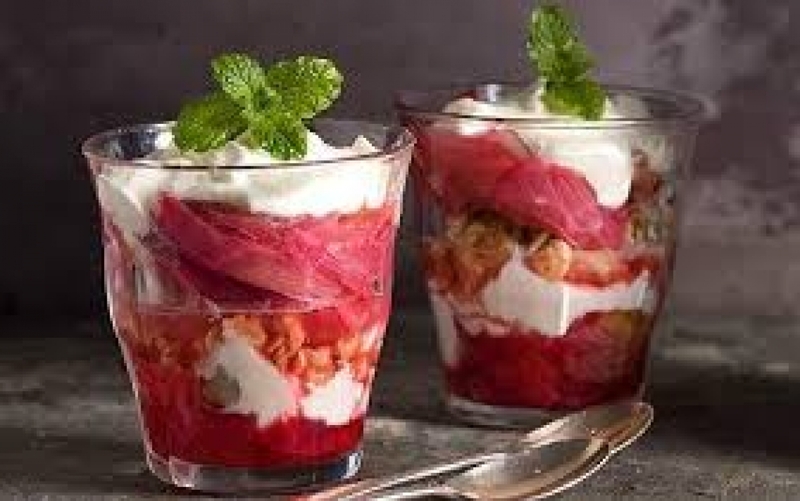 Therefore it is only the stems of this rhubarb plant that we can eat. 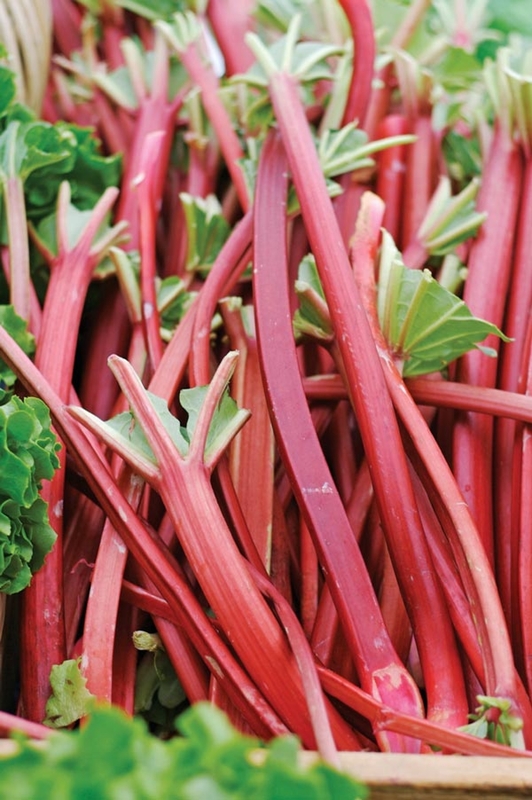 The stem color of your rhubarb plants can vary, even within named varieties. 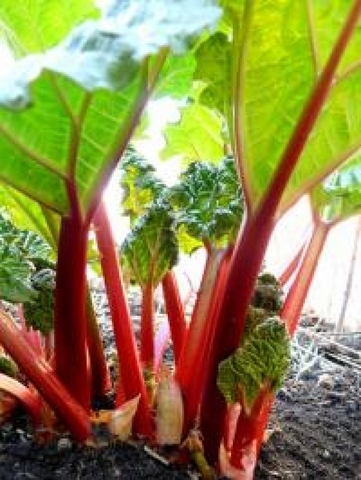 The reddest colors are produced during cold weather, the optimum temperatures being 10 degrees C. Temperatures above 25 degrees C. slow growth and suppress the reddening of the stalks. Long Stalks : 12" - 14"
Color : Greenish to bright red stalks.